Chapter 2. Can We Deconstruct Cancer, One Patient at a Time? How does Arsenic Induce Degradation of PML and PML/RARA? How does Arsenic Trigger PML Sumoylation? What is the Role for PML NBs in APL Therapy? Are there Other Arsenic-Sensitive Diseases? Restoration of BRCA Function: an Inevitable Drawback of PARPi? 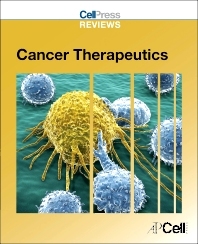 Cell Press Reviews: Cancer Therapeutics is part of the Cell Press Reviews series, which features reviews published in Cell Press primary research and Trends reviews journals. Academic, medical researchers, and students in cancer biology, and cancer prevention/therapeutics, including cell biologists, biological chemists, geneticists, pharmacologists, oncologists, and radiation oncologists.